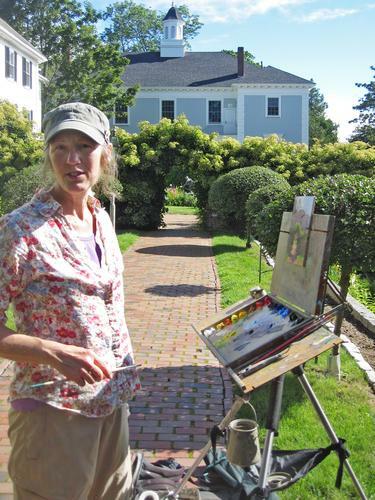 Janice Fitch of Castine, at the exhibition and sale held at Maine Maritime Academy—the finale of the plein air festival held on July 27. 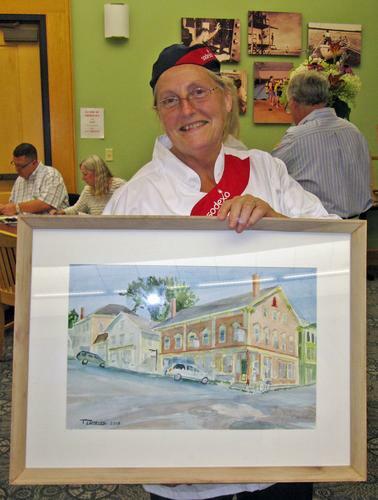 Roberta Goeschke of Waldoboro at work. 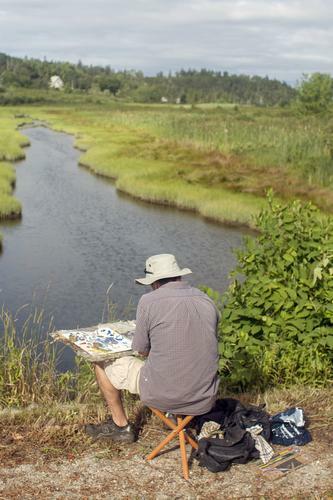 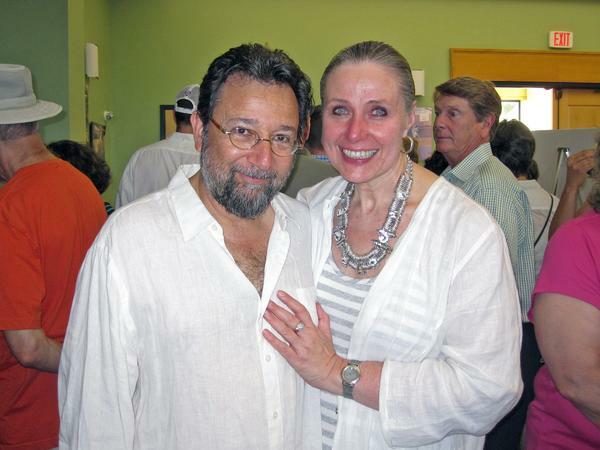 Josh Adam of Castine garnered an honorable mention for a day’s painting at the Castine Plein Air Festival on July 27.